Anybody hear anything about Andy's ski yet? What is the fascination with Andy's skis? Before someone jumps on me I will let you know I have purchased 2 Mapples in the 90s, the original Sixam and I currently have an Elite. I always read the hype but I rarely see anyone on one...other then Andy. It seems to me that Andy was a super successful skier but not so much when it comes to ski design. The LaPoints, Goode and Radar either do a much better job designing or marketing or both. The ski that got Radar off the ground and onto the map was the MPD, which (I believe) stands for "Mapple Produced Design". Unless I'm mistaken Andy designed that ski. I still ski on mine, know several folks still skiing on them, mine is serial #0028 and supposedly hand tuned by the man himself, and it still rocks. Prefer it over the Strada personally - I own both. Did a number of designs for Obrien as you've stated, the SixAM's, the Elite, what else? Not a successful ski designer? Hmmmm... Perhaps marketing hasn't been his personal forte to date (he's known to be the quiet type) but he really hasn't had the opportunity to go that on his own. Yet. Andy's ski design has changed as slalom technique has evolved with speed control technology. The Mapple was a good ski for its day. I loved his original red/blue Sixam. I still like the Elite and I would buy an RTM Sixam version in a heartbeat! O'brien just does not have a very strong marketing department or funding in my opinion with the tiered companies under Archer. That is one major thing I think that has held his skis popularity back while with O'Brien under its current ownership. Once again not trying to dog Andy, but if the ski had a competitive advantage wouldn't that stand on its own amongst big dog skiers? Obrein Elite was the title sponsor and I don know if a single skier skied one at an event. A good friend skied great on an MPD, but how many MPDs did you see at tournament level? Just thinking out loud, but is it all marketing or does Andy design skis that ski well for him but not so much for others? @bhs I have seen Big Dawg skiers on the Elite. I can't believe I'm saying this but I agree with @Brent's statement above. Myself and Doug Ross rode the elite at big dawgs, Brent is correct!!! A big call to say that Andy doesn't design great ski's... Look at the success of the Sixam. That ski changed the game. Keep in mind Adam is with him do in the design. RTM Sixam and I'm in! Time spent on the water is time well spent. Hey have you guys seen this re the AM Logo...? This says it all. Its from the logo contest web page. A niche market who is used to paying whatever is necessary to get an extra point or ahead of the next guy. Me thinks $300 being 20% of the price is a pipe dream. I bet AM's ski ends up $2500+. Nicole Arthur joins team Mapple as well? Adam Cord driving, Marion Mathieu's photo(marketing person for AM Skis). Hm I wonder who is on the platform of that Mapple edition 200 wearing an AM skis bib. I mgiht add CP was in the same album... hmm possibly on the team? I know that Cord, CP and Smith were out drinking together about a week ago. You can draw all kinds of rumors from that. They will all be false but go ahead anyway. I did talk to Nate the other day and he said he was down skiing with Andy for a few days. Where did you find the "album" of Marion Mathieu pics that included the one you attached to this thread? @MattP more help and less smartass please. @Horton I just like to stir the pot. Look at @mattp being a great investigator. I am not sure about Nicole but I have a good feeling CP is on the Mapple ski. We shall all know this weekend! @Triplett I know right. I did not even have to ask you. @Brent is right those European Islanders tend to stick together. 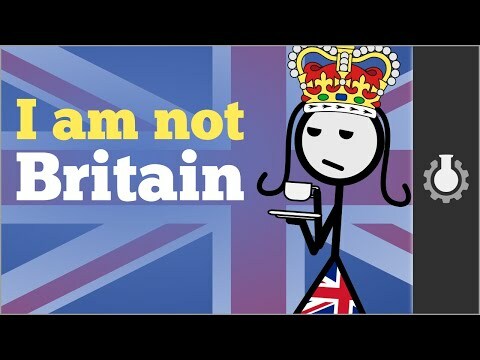 haha Nicole isn't British, kind of. She is Scottish. @mattp come on now! Well, that clears it up nicely! !